Think warm thoughts. Baseball season will return soon enough. 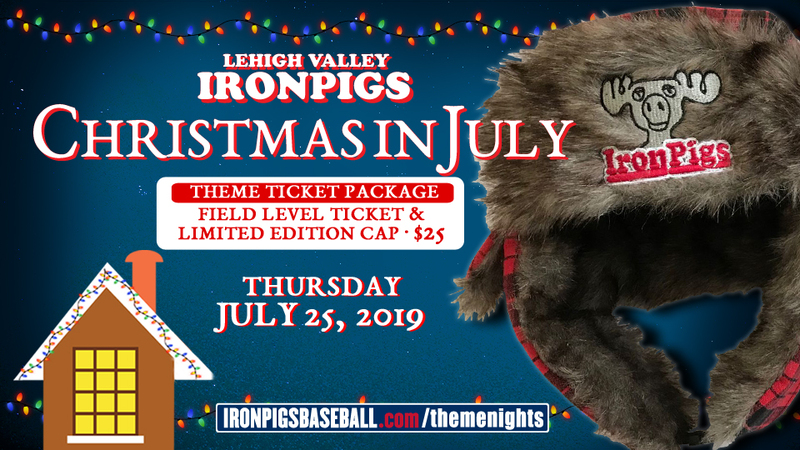 The Lehigh Valley IronPigs have made a special Christmas in July special available, just in time for the holidays. Each package includes a field-level ticket to the Pigs' Thursday, July 25, 2019 Christmas in July contest against the Toledo Mud Hens and a Cousin Eddie-style IronPigs cap. One lucky fan who purchases this Christmas in July special offer will receive a 12-month membership to the jelly of the month club. It's the gift that keeps on giving the whole year. This special will be the only way to purchase an individual ticket for the July 25 contest until single-game tickets become available at the annual Pig Day Celebration (Saturday, March 2, 2019). The Christmas in July special is the Pigs' fifth special theme ticket now available for the 2019 season. Visit IronPigsBaseball.com/ThemeNights for more information on Seinfeld Night, The Office Night, Nickelodeon Day and Opening Night specials currently available. The IronPigs also have a variety of Bacon, USA ticket plans available for the 2019 season. Choose from 9-, 10-, 17-, 35- and 70-game options today. Click here or call us at (610) 841-PIGS x3 to secure your seats for 2019 and take advantage of great Bacon, USA benefits like discounts on parking and merchandise and invitations to members-only events. The 2019 season will be the IronPigs' 12th season at Coca-Cola Park and their 12th as the top affiliate of the Philadelphia Phillies. This season features the return of the Bacon, USA, Membership program, which gives members an unprecedented value in addition to their season tickets. Memberships and group outings are on sale now. Please call (610) 841-PIGS (7447) for details, or to book your group.